Today, I was lucky enough to get to cuddle a squishy, adorable, and very brand new baby. I was at a Mom’s group that I attend every week at my church, and a new Mom who recently delivered walked in the door. I immediately offered to hold her baby for a while so she could have a cup of coffee and relax for a few minutes, and she happily obliged. Holding a new baby has always been exciting for me, but never more so than when each of my own three children were born. From the time you find out that you are pregnant, you instantly have a strong emotional bond with this new life growing inside of you…one that only grows as the 9 months pass. The first time I laid eyes on each of my children, the love that I felt was so strong and overwhelming that it literally took my breath away. I was radiating joy knowing that I got to be the Mother of this incredible little human laying peacefully in my arms. 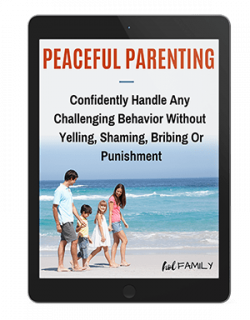 Our bodies were designed to produce high levels of hormones that increase this time of love and bonding when a new baby comes, but staying head-over-heels with your child is not as easy when temper tantrums, angry outbursts, and defiance strike. Let’s face it, while we always love our children…sometimes we don’t like them very much. At the same time, being well connected with our children is one of the best ways to positively influence their behavior. Kids who feel strongly connected to their parents are more likely to want to cooperate and follow our rules. 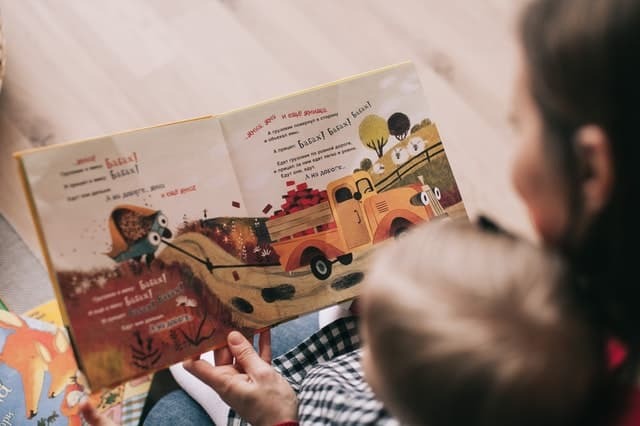 While they are highly driven by emotions thanks to their still developing prefrontal cortex, children who are well connected trust their parents enough to share these emotions knowing they will receive empathy and understanding instead of shame and guilt. Research has shown that children who have a positive attachment also learn more quickly, are more cooperative, and develop the social and emotional skills they will need to thrive in life (1). 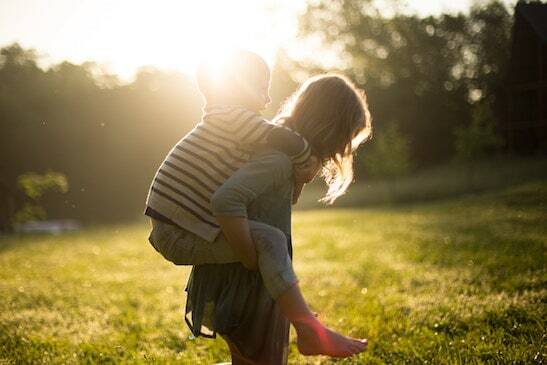 Children who do not have this strong connection with a parent or other caregiver may never develop to their full potential. So how can we stay connected to our children and foster the important attachment relationship when we live in a busy, fast-paced society? Many parents work outside the home, children are in school or daycare for a decent chunk of the day, and most children spend large portions of their day engaged with media…not their parents. Forming a strong connection with your child, regardless of their age, doesn’t have to mean spending your whole day playing round after round of hide-and-seek or bonding over Pokemon cards. While spending some time alone with your child, engaged in an activity of their choosing is important and can lead to better behavior, there is research to suggest that it is the quality of that time and not the quantity that really matters (2). So how much time is enough to develop a strong connection and when is the best time(s) of the day for connecting? 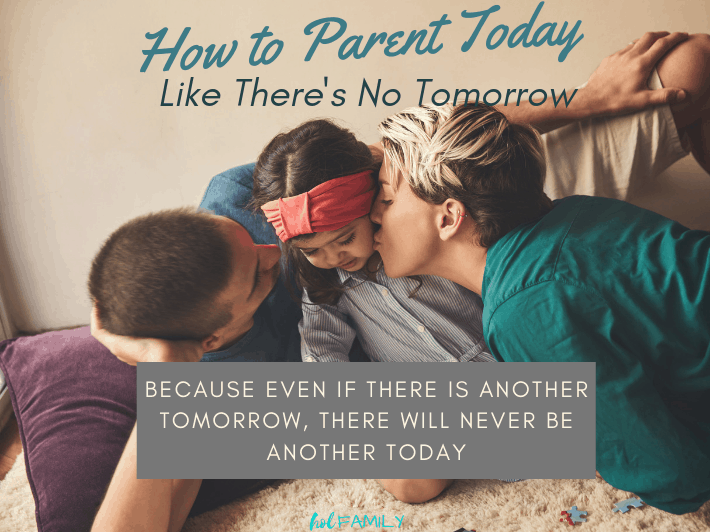 Being a present parent means trying to be physically and emotionally available to your child as much as possible throughout the day. 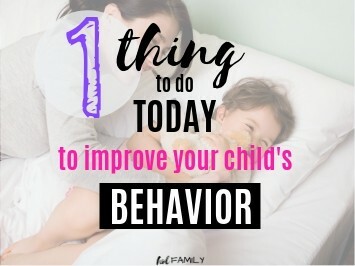 However, there are 3 times of the day that are the most crucial for connecting with your child and setting the tone for their overall mood and behavior. 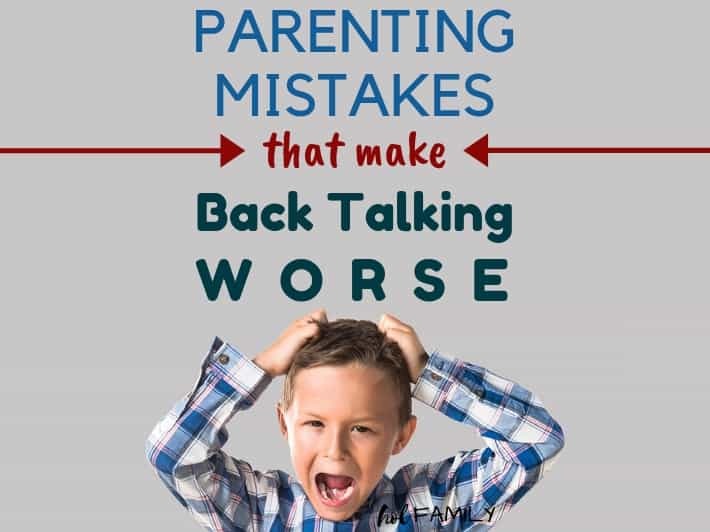 If you dedicate just 5 minutes of time to each of these three crucial opportunities for connection, you will notice a drastic difference in your child’s demeanor, willingness to listen and cooperate, and overall behavior. And most importantly, you’ll be developing a strong attachment bond that will carry on throughout your child’s developing years. 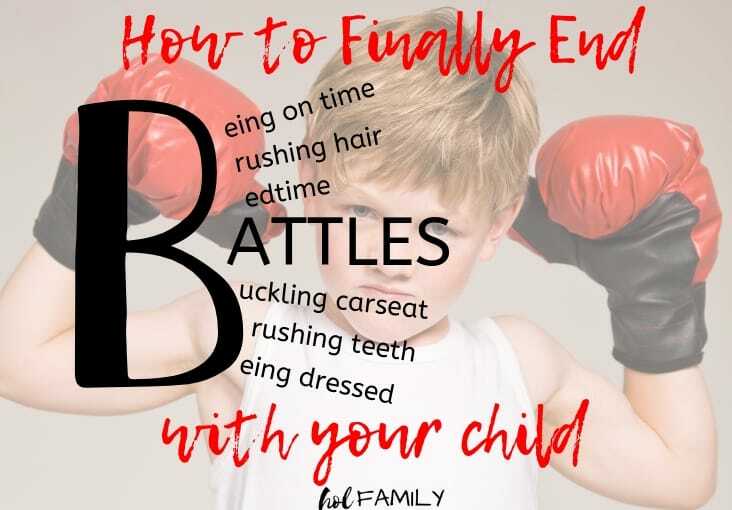 Here are some tips on how to best utilize these crucial moments of connection and some practical ways to spend these 5 minutes chunks with your child. Those first 5 minutes when your child wakes up in the morning can really set the entire tone for their (and your) day. It can be tempting to delay connecting with your child until you’ve had a chance to shower or grab a cup of coffee to wake up, but it is that initial moment of greeting that truly matters. This can be extremely challenging when your child is coming in and waking you, when you’ve gotten little to no sleep, or if you just aren’t a morning person. Like many other moments in parenting, sometimes we just have to put on a smile and recall those squishy newborn days so we can be authentic and warm in our interactions with our child. After this period of separation, that initial contact with your child should be welcoming and warm. Even if it has been only half an hour, try to make your child feel special by treating them like you haven’t seen them in a long time and cannot wait to be reunited. Think about times when your spouse or a loved one has greeted you this way and the effect it has on you (and that relationship). Now think about the impact this could have on the relationship with your child! Children who have a secure attachment with their parents often struggle with times of separation, and the same is true for children who experience anxiety. 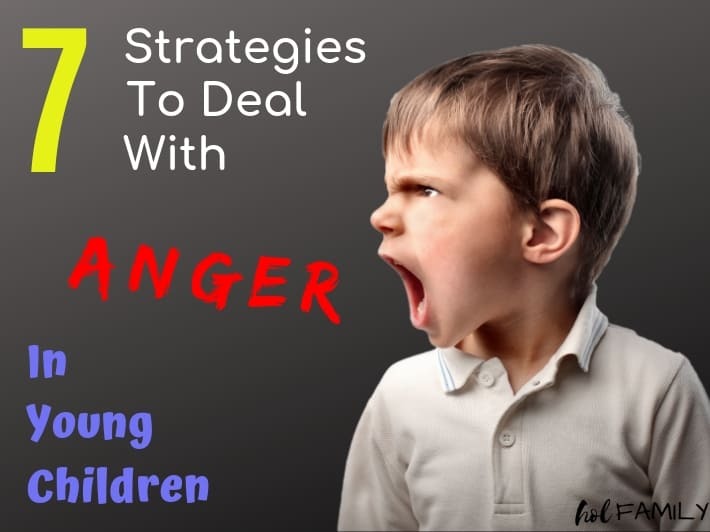 It may be difficult for them to be away from you and some children will withdraw and appear standoffish as a way of coping with the intense feelings they may be having. 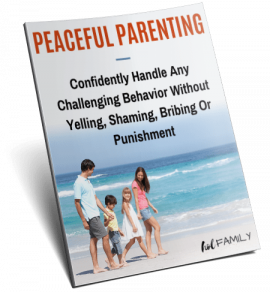 Other children will have huge meltdowns the moment they (or you) walk through the door. Yes, this may be inconvenient after a long and hard day. But your child has been “holding it together” all day needs to express his emotions or they’ll negatively drive his behavior for the rest of the evening. Besides, this is an excellent opportunity to help your child work through those upsets, which will bring you even closer. So do your best to summon up your compassion, don’t let the anger trigger you, and welcome the tears and fears that are underneath that anger. You are the person he trusts enough with displaying his big emotions; so acknowledge all those feelings and offer understanding and empathy. Afterward, you’ll both feel more relaxed and experience a deeper sense of connection. For some parents, bedtime is an exciting time because it means you finally get a small break to unwind from a long and exhausting day. Perhaps this is when you get some alone time with your spouse, catch up on a favorite activity, take a bubble bath with a glass of wine, chill out with Netflix, or catch up on some work. For whatever reason, those final few minutes before you tuck in your child can seem like time is operating at snail speed. If your children are anything like mine, bedtime is their LEAST favorite time of the day and they will do anything and everything to stall for as long as possible. Suddenly they have a burning desire to ask deep philosophical questions, they realize they have drank zero water all day, their favorite stuffed animal is missing, or they beg for you to read them that story you can recite by heart for the sixth time. As tempting as it can be to lose your cool in these moments and rush through the bedtime routine, try to treat this time as sacred. Start bedtime 10 minutes earlier if you know your child needs that extra period to unwind. This is the time your child is most likely to open up to you about their day, share any fears or lingering hurts they have been feeling, and confide in you as their most trusted person on the planet. Being willing to listen without judgment, reprimand, or shame can set the foundation for a lifelong relationship of trust with your child. If your four year old feels that they can tell you about their mess-up at daycare knowing you will respond with love and empathy, this same child will come to you when they are battling with drugs, alcohol, and insecurities as a teenager. And this bedtime routine is even more important with teens as this may be the only opportunity for connection in their day. If you can, try to incorporate touch into this bedtime routine. Maybe it is snuggling, a back scratch, a foot massage with essential oils, or a hug and kiss before turning out the lights. Human touch as part of a loving relationship provides a deep sense of security and attachment and will help your child to fall asleep faster and sleep more peacefully. Parenting is one of the hardest jobs in the world, and oftentimes it can feel like you are just struggling to survive. It can be easy to wish the difficult stages of sleepless nights, tantrums, and total dependency on you away. Remember, your child only has 900 weeks of childhood before they leave home so don’t waste it by going through life half-present in your parenting. When your child speaks to you, listen with your full attention (put away technology). Find moments to physically connect with your child throughout the day (hugs, kisses, high 5, snuggle, foot rub with oils) as this will foster them opening up about life. Laugh together to release endorphins and oxytocin (love/bonding hormone). And most importantly, make time for these three periods of connection in your day. 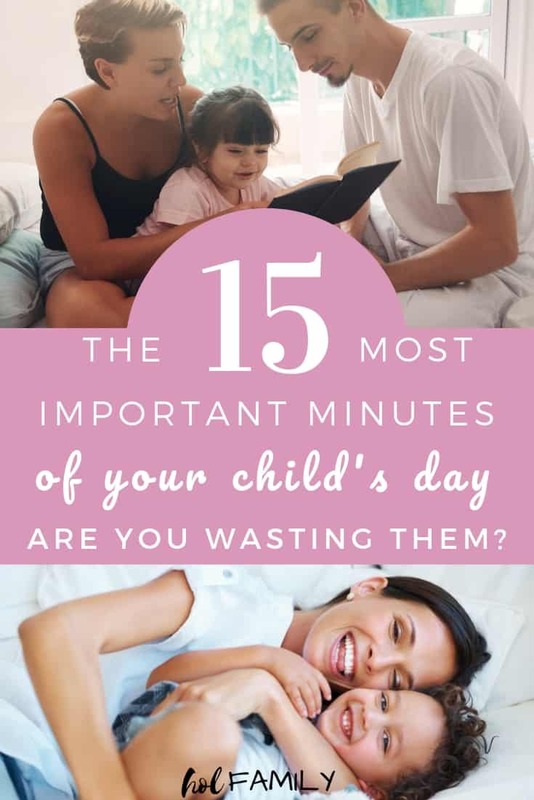 15 minutes is a drop in the bucket of your day, but will fill your child’s emotional bucket to overflowing and will pave the way for a lifetime of a loving relationship with your child. How do you find opportunities to connect with your child throughout the day? Leave us a comment below and let us know! Thank you for this valuable article Raina! You reminded the thousands of parents how to spend a priceless time with little ones in a simple way. I was SAHM a long time. Theoretically I was with my Daughter the whole days, but constant thinking about rest or different activities used to take my mind somewhere else. So, the amount couldn’t be equal to the quality. This does make sense to utilize these times of day. I do agree, I feel a good connection at those times. I will have to keep this in mind. Such a powerful article! I would love to implement this with my toddlers and be more intentional about those 15 minutes. 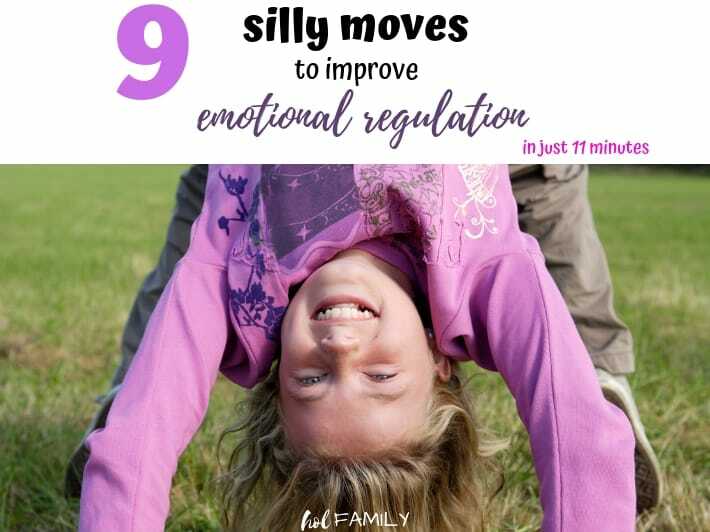 Such a great way to slow things down and connect! This is a great blog. I am an intentional person, and I tend to feel guilty if I can’t spend as much time with my kids as I want (like work or errands get in the way). Your blog takes off the pressure and reminds me that it’s quality not quantity. I am going to take advantage of the morning and after-nap times to reconnect. Thanks!